We’re going to take a wild guess here, and call Wayne County’s bluff. The county is talking about building a new jail downtown and closing two other jails, including the William Dickerson Jail here in Hamtramck. 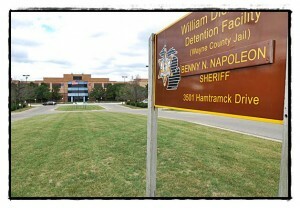 The county built this jail in 1991 for $60.5 million. Is the county seriously going to mothball this jail after spending that kind of money, plus dish out another $300 million to build a new one? Why don’t they just take our money and throw it in the Detroit River? It sounds to us that the county is trying to scare Hamtramck officials and get them to lower how much they have to pay the city to operate the jail here in lieu of paying taxes. The county is paying the city $1 million a year, but that agreement came after a court battle. The county was trying to scoot out of its financial obligation, and lost. We realize the county is facing a financial crisis, and it must find ways to save money. But abandoning the Hamtramck jail will result in a waste of the taxpayers’ money.